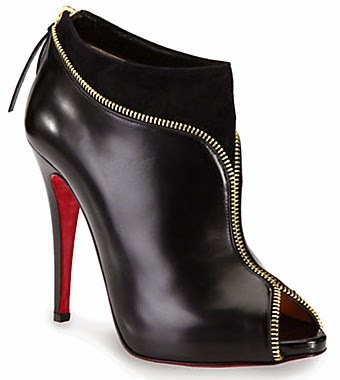 I've always been vocal about my love for christian louboutin...the red sole alone is enchanting before you even think of looking at the design and here is a goergous Christian Louboutin Col Zippe Leather and Suede Zipper Ankle Boots which is been rocked by our celebrities..
the boot features Leather and suede upper with zipper trim,back zipper, 115 mm heel height with the Signature red leather sole. Above is Camilla Belle, Naomi Watts, Rosamund Pike and Julianne Moore rocking the peep toe ankle boots..
Who do you guys think rocked it better? The first lady.The royal blue for me.